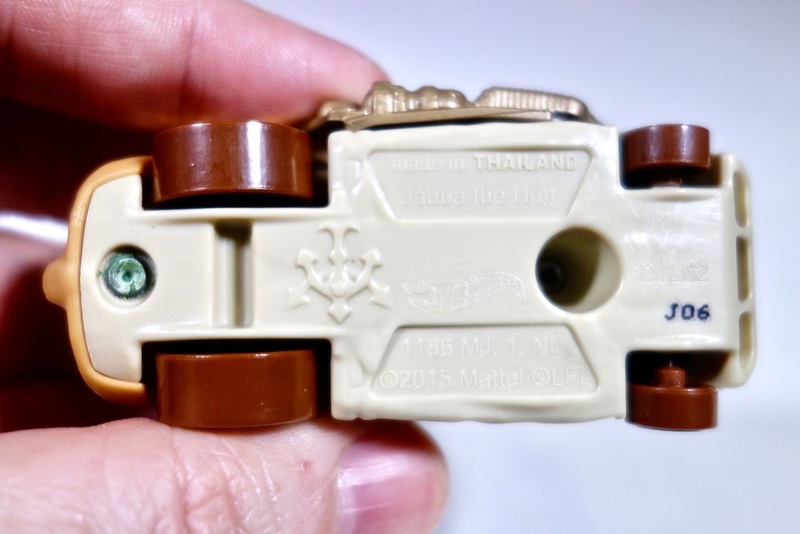 I first picked up this Jabba the Hutt Hot Wheels car quite some time ago, and while I made a video about it at the time, it seems that I never posted anything about it on the site. So allow me to rectify that now. First of all let me say that this car is quite difficult to find. 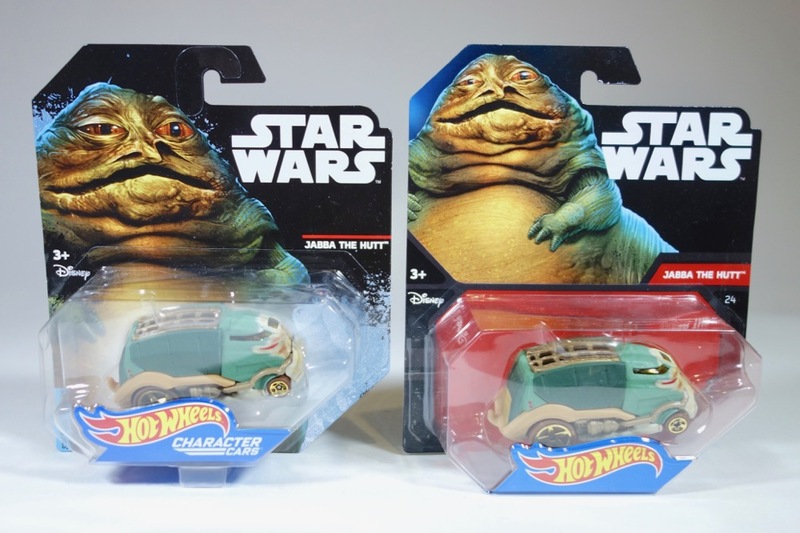 Every time I go to a store that carries the Star Wars Hot Wheels cars, I check to see if they have a Jabba, and I’ve never found one ever, even after months of looking. I think maybe they just never made it to my neck of the woods. So I had to get mine online, but even on places like eBay these go for a lot more than the typical car. And yes, there are two different versions of the packaging, but more on that in a minute. The car itself is not bad as these things go. 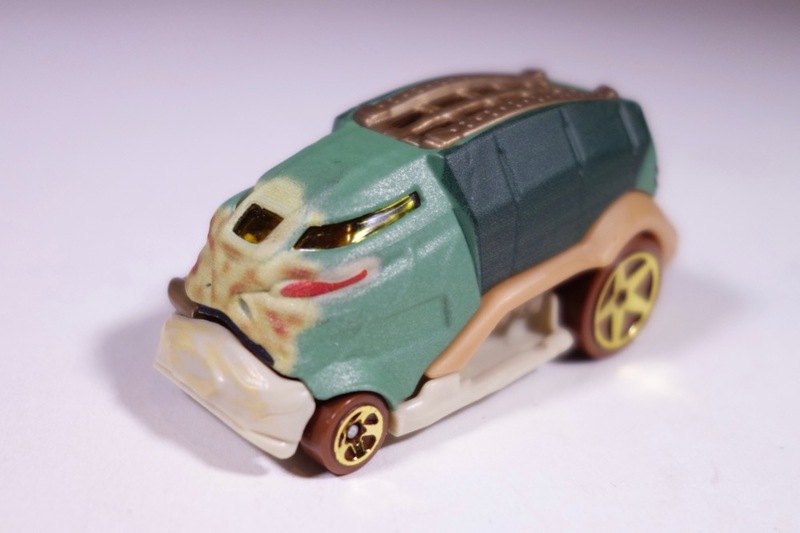 It portrays him as a garbage truck with an exhaust pipe taking the place of Jabba’s hookah pipe. It’s also got his clan symbol on the bottom. Back to the packaging. The version on the right above is the more common one, at least at this point. I’ve only seen a handful of sellers with the version on the left. The back of the package is also somewhat different. Most notably, the cars listed under “Collect Them All!” are different. But they didn’t just redesign the package. The artwork on the front is actually completely different between the two versions. The faces in particular are pretty different, and if you look closely Jabba’s tail is facing different directions as well. I was Googling around trying to figure out why they did this, when I stumbled upon the Facebook page of Ken Christiansen, who did the artwork for many of the cars in this line. When I asked him about the other version, he said that it was an alternative version that he did, but he didn’t even realize it had been used for anything until I showed him a photo. 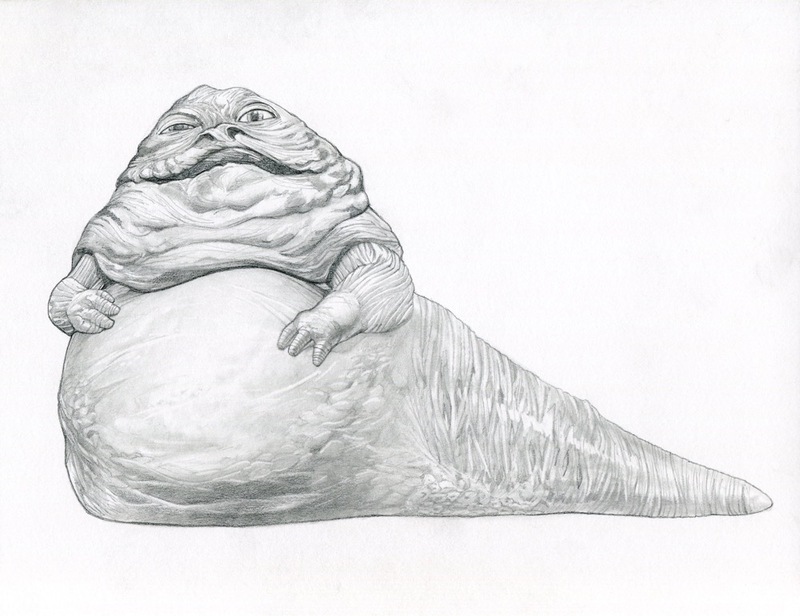 He also said that he originally did the artwork for a single pack version before being told he would have to redo it with Jabba facing the other way because it was going to be used on a two-pack instead. 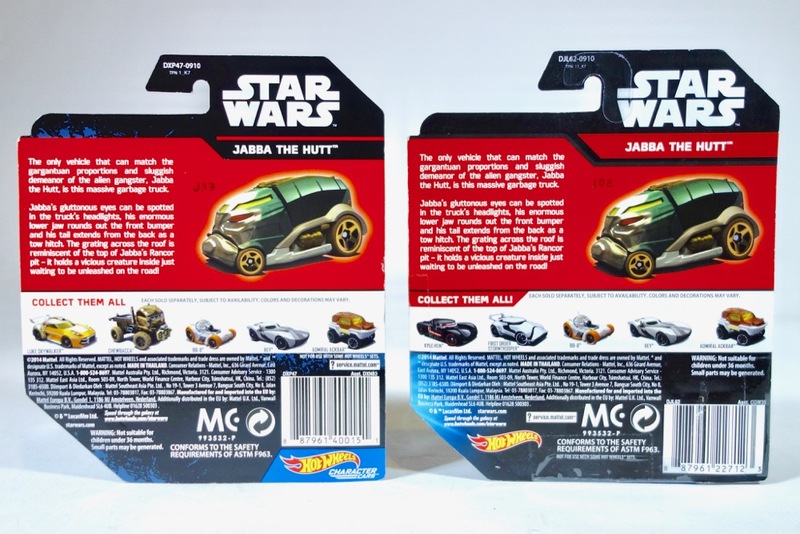 (I actually saw a listing for a two-pack with the Jabba car and Han Solo on the Toys R Us website a while back, but then it disappeared and I can’t find the image now. It think it’s been canceled. [EDIT: Turns out it is actually available as a two-pack with Han in Carbonite.]) So that explains why there are two versions, but not why they decided to actually release two very similar versions like this. My guess is that they decided the other version fit better on the package when they changed the design. 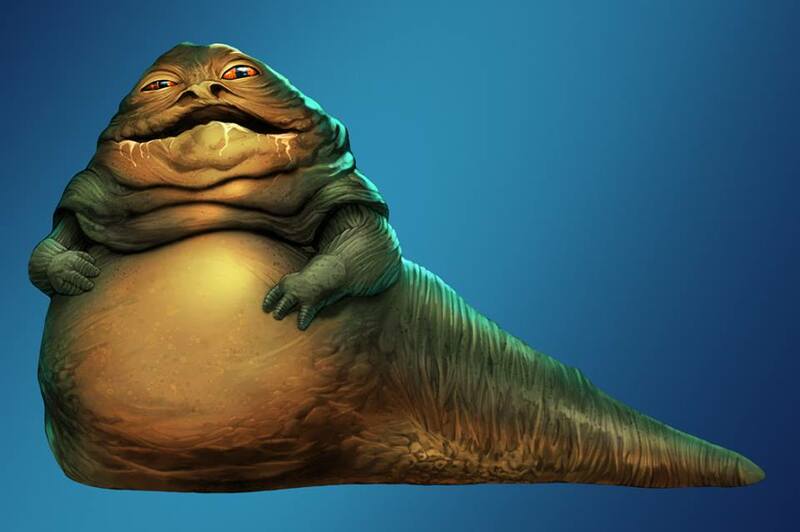 It was also apparently reworked a fair amount by Lucasfilm Licensing — apparently without Ken’s involvement. The face on the final artwork is noticeably different. Anyway, I was excited to get this because I don’t really have any packaging artwork. Even though the final version is heavily processed and digitally altered compared to the original sketch, the sketch is still where it got its start, and the hands, arms and body are almost unchanged.